We are kicking off National Cat Health Month with a me-WOW announcement. 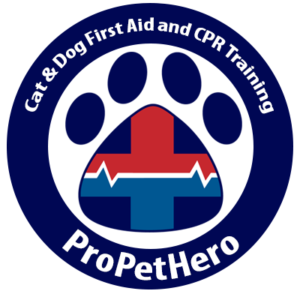 Last pet first aid awareness month we brought you Moore, no that is not spelled incorrectly – we announced that ProPetHero was teaming up with Arden Moore, internationally known safety expert to build our pet first aid instructor program. That program is almost ready to launch but while she has been busy working on the content for future instructors, the unbelievably talented Arden Moore has also been creating cat content for our fellow feline friends. 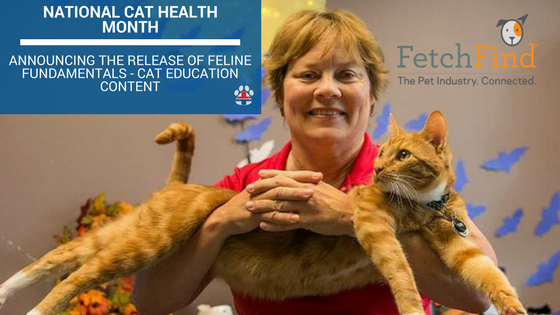 Our partners over at FetchFind knew that Arden was not only a pet safety expert but phenomenal feline behavior expert as well. They knew that cats dominate our homes here in the US but not enough education exists regarding their care – the solution – Fetch Arden to create wonderful cat content to be consumed by anyone who spends their life with cats. For details and a super well-written announcement, continue reading to hear what the FetchFind Feline Fundamentals Subscription entails directly from the fab feline phenom, Arden Moore! Face the feline facts. Cats can be fussy, fascinating, frustrating, funny and even a bit freaky. It’s easy to be puzzled or perplexed as to why cats do what they do. What are they clearly not? Little dogs who purr. Cats outnumber dogs in households, yet they remain challenging to understand and to handle, especially when it is time to transport them in pet carriers to the veterinary clinic or give them medicine. Yowl! Hiss! That’s why for all of you pet professionals, the time is perfect to get schooled in all things feline. Ever since I was a toddler, I’ve shared my life with cats. My feline friendship began with a cool Siamese named Corky, who joined me swimming in our backyard lake. Today, I travel the country with a confident, comedic orange tabby named Casey who assists me in pet first aid trainings and pet behavior classes. I continue to be both a teacher and a student, sharing my intense knowledge of cats I’ve learned from the world’s most respected feline experts to you through my best-selling books, presentations and radio shows. That’s why I am honored to team up with FetchFind in creating the Feline Fundamentals curriculum. This is a must-get subscription for pet sitters, groomers, bloggers, hospital staff, trap-neuter-vaccinate-return cat rescuers, cat pet parents and simply, everyone who loves and adores cats. Through videos, how-to photos, text and more, our Feline Fundamentals will provide you with a steady supply of cat knowledge. What is the best (and safest) way to greet a cat? How do you break up a feline fight and escape injury free? Why do cats hack up hairballs? Is there a safe, quick way to give medicine to a client’s cranky cat? Why should I pay attention to litter box deposits? We at FetchFind stand ready to arm you with step-by-step guidelines as well as practical tips, tricks and tactics to these questions and countless more. Each month, we will add new content as there is so, so much to reveal about felines. For details, please check with the FetchFind team at www.fetchfind.com. Yes, a feline revolution is underway. A generation ago, phrases like catios, cat cafes and catification did not exist. Today, pet careers are being created and expanded out of this global fascination with felines. Here is your opportunity to really get to know and care for 21st century cats. Don’t pussyfoot around. Sign up me-NOW!